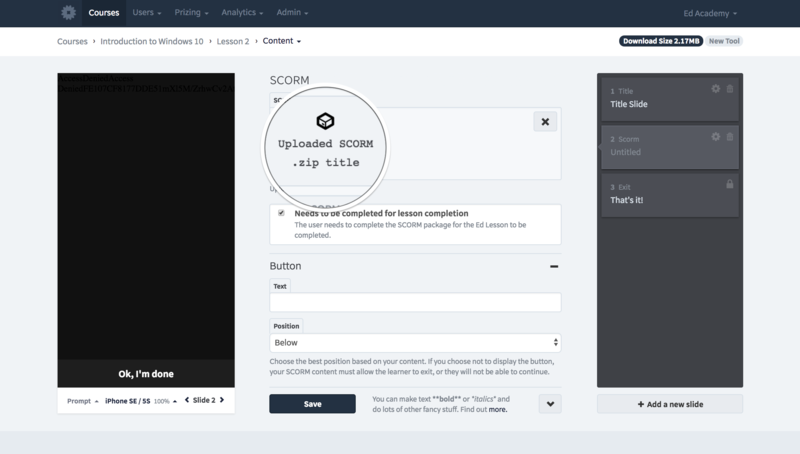 For those of you familiar with our SCORM integration, you are familiar with uploading the file within the lesson properties page. We have now introduced AICC support and have made it easier to incorporate this packaged content into your lessons. Content admins and instructional designers may also include additional Ed templates within that lesson to check for understanding after the learner has completed the SCORM content. In the authoring tool you now have the option to upload a SCORM package using a template found in the ‘Advanced’ templates category. 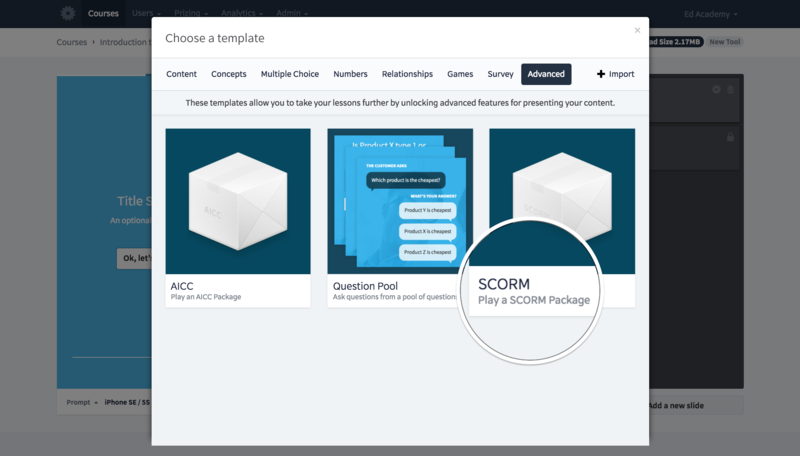 In this user guide we will walk you through how to upload a SCORM package and include additional slides. If you’re familiar with the LMS feel free to skip down to step 5. For those of you who are new to our platform, let’s start from the beginning. 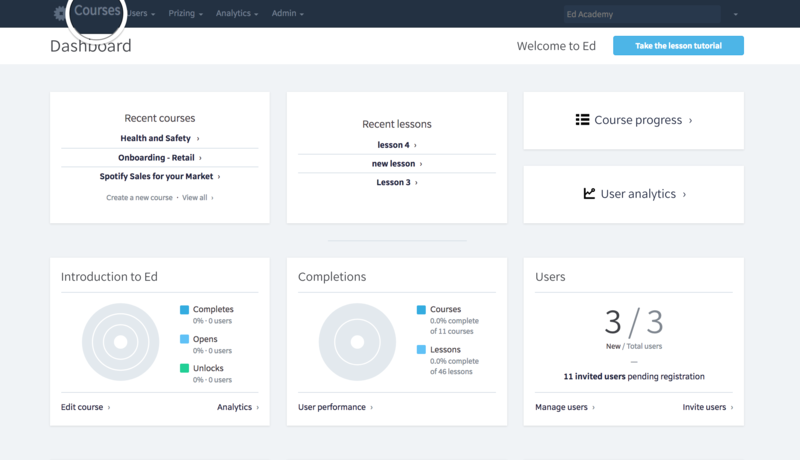 Once you’ve logged in to admin.edapp.com, select Courses in the top left hand corner. 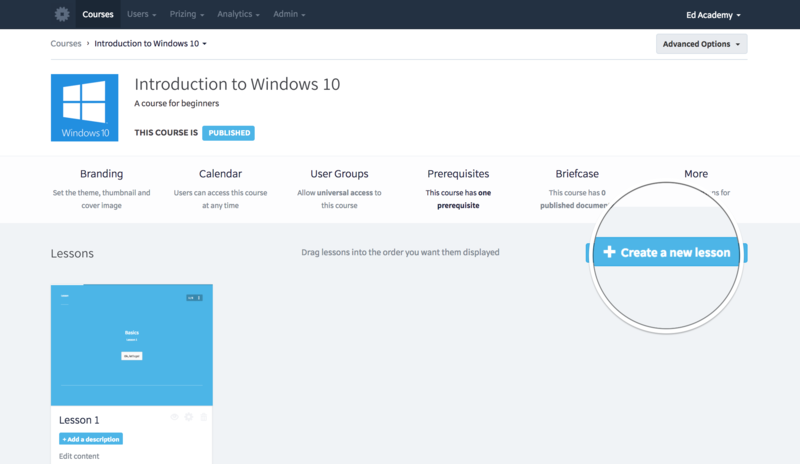 This will take you to the courses page, where you can organize and edit your content. 3. 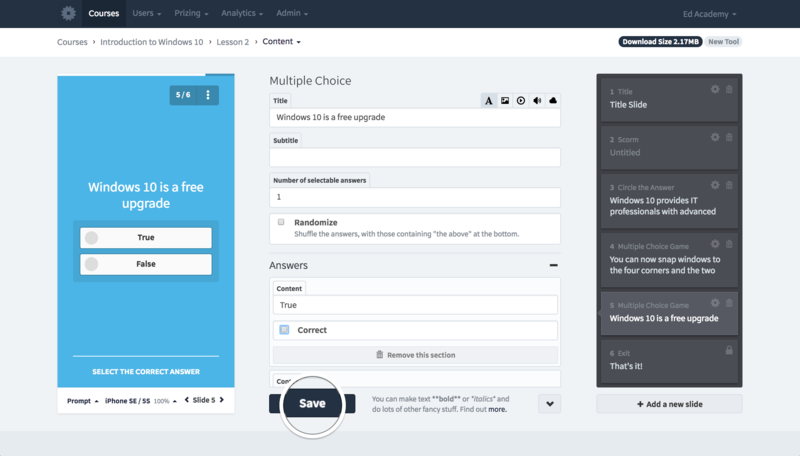 From the course page, choose an existing lesson title or select Create a new lesson. 4. For those who have uploaded SCORM content before, this step is where the process has changed. Select Edit lesson content on the right side of the page. This will launch the authoring tool for this particular lesson. 5. 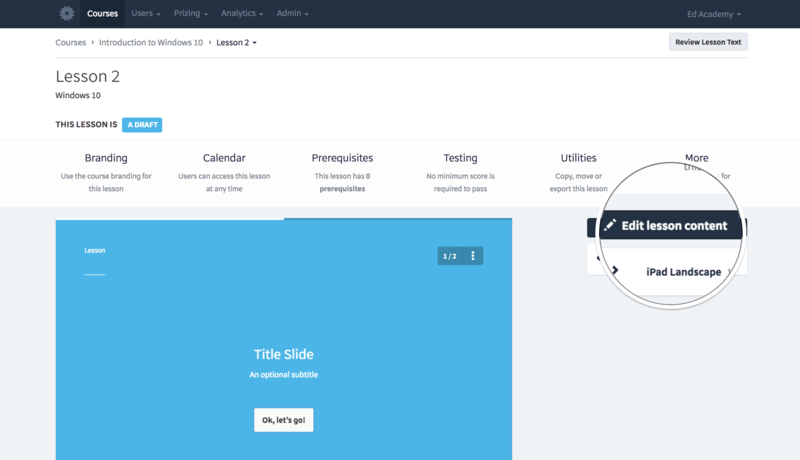 Once the authoring tool has been launched select “Add a new slide” at the left bottom. We need to select the appropriate template first in order to upload the content. From ‘Choose a template’ pop up window select ‘Advanced’ category. From ‘Advance category’ select SCORM template. 6. From ‘Advance category’ select SCORM template. 7. 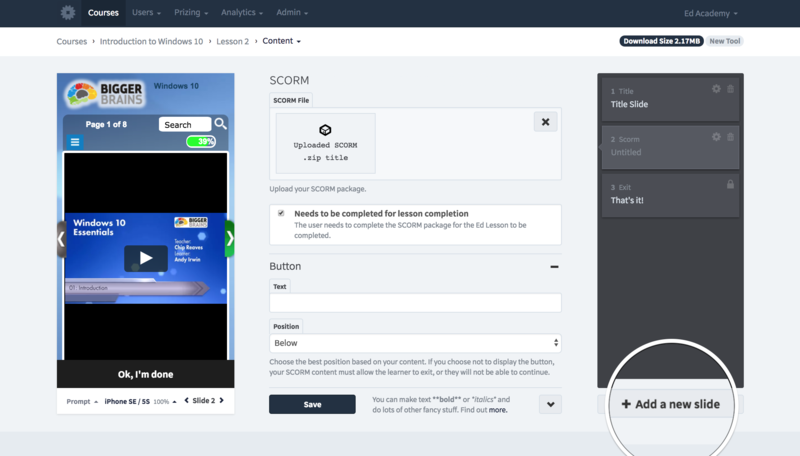 Once SCORM slide has been added to the lesson select, ‘Uploaded SCORM .zip” to launch your computer’s finder window and upload SCORM content. You may also drag the file from your desktop or a folder into the SCORM file field. Once zip archive selected wait for the SCORM package to be uploaded to the slide. 8. Now that we’ve uploaded our SCORM package, we will add additional slides to check for the learner’s understanding. 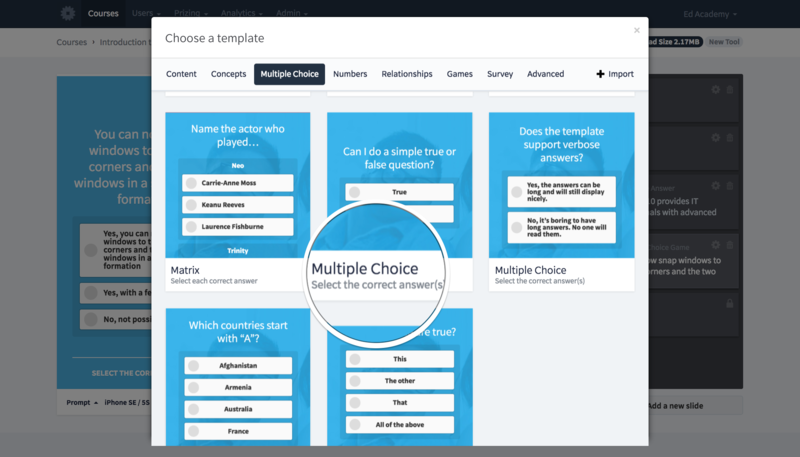 From the authoring tool select ‘Choose a template’ again. 9. You may go ahead and select any template you desire. 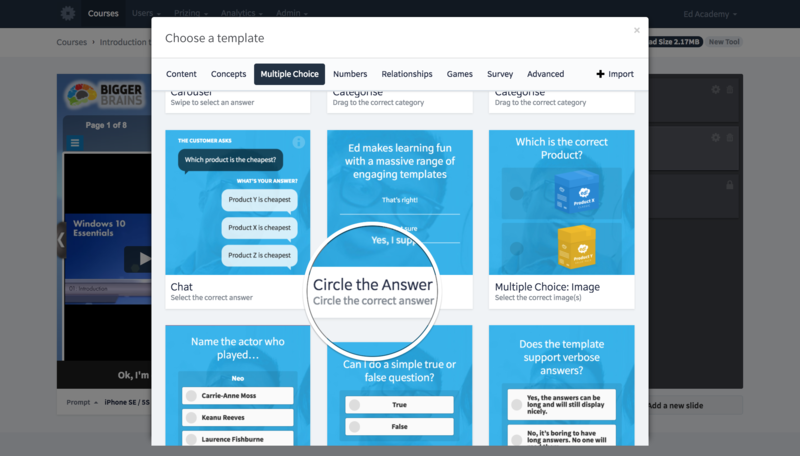 For our intents and purposes we recommend selecting a template from the Multiple Choice category. Let’s go ahead and select Circle the Answer. 10. Fill in all of the fields with the appropriate information. Remember, these questions are going to check for the learner’s understanding of the content from the SCORM package. 11. For the next slide let’s use a multiple choice template. Fill in the information in the appropriate fields. 12. For the third and final question slide, let’s use another multiple choice template. 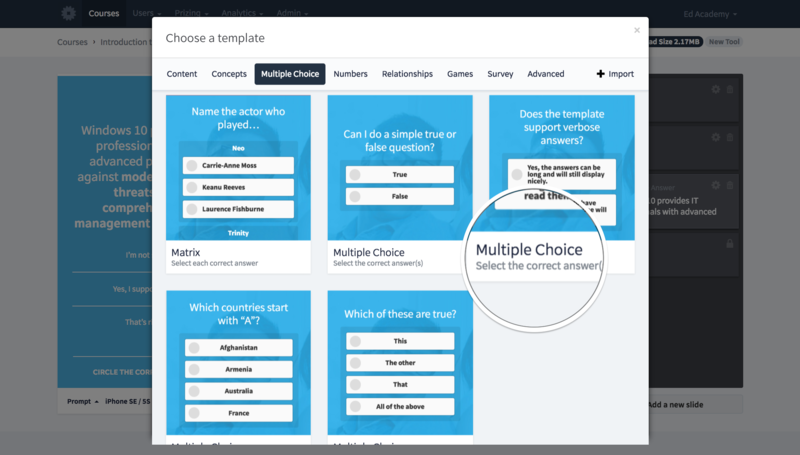 We are going to use the first option within the ‘Multiple Choice’ category. This one by default has ‘True’ and ‘False’ as the answer options. That’s it! 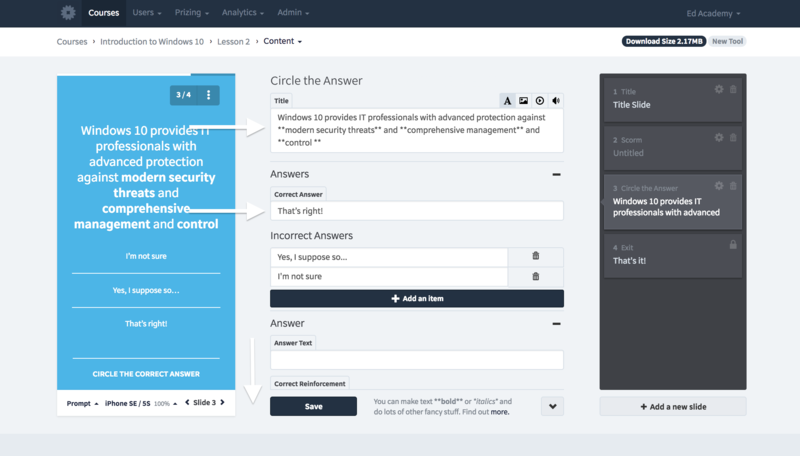 The column to the right in the authoring tool should now have a title slide, a SCORM slide, three additional slides with questions for the learner to engage with and finally, the exit slide.